Chris Stachiw and Mike White discuss the fourth episode of "The Night Stalker" which returns to the show's roots. A victim of Janos Skorzeny has survived and moves from Las Vegas to Los Angeles. It's up to Kolchak to ditch his assignment and put an end to her reign of terror. 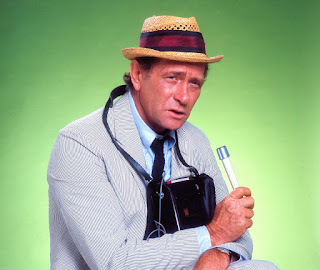 This episode of The Kolchak Tapes features an interview with producer Cy Chermak, author of The Show Runner: An Insider's Guide to Successful TV Production. Read the It Couldn't Happen Here discussion of "The Zombie"
FYI... Carl does drive a stake through her heart. You sounded a bit confused about why there was a coroner’s report. Otherwise, great podcast.